Ready or not, you’re a parent again. And if you’re wondering how exactly you’re going to raise your children’s children, you’re not alone. More than 3 million Americans are raising their grandchildren, and they, like you, have done this all before. But this time, you’re parenting under different circumstances—and likely as a result of scenarios you never envisioned for your family. Your top priority now is to help your grandchildren to emerge thriving from what may initially feel like a less-than-ideal situation. The deeply rewarding experience of creating a grandfamily in the midst of crisis reminds us that all families are built and strengthened over time. The Grandfamily Guidebook offers just the right mix of expert advice and insights gathered from thousands of grandparents who are raising grandchildren. With this comprehensive guide you’ll avoid common pitfalls as you adjust to your new normal, and have a touchstone to come back to as things unfold. With advice on everything from engaging with birthparents, to managing legal and financial considerations, challenges with school and social life, and your own self-care, you’ll always have a practical, inspiring guide to building a grandfamily. "This is the book you need when you become a parent all over again for your grandchild. While no one plans for this to happen, you need a plan when it does! And while children have not changed in the past 30 years, what we have learned about them has. 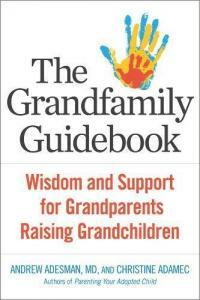 This is the guide for navigating the challenges and joys of raising your grandchild." “The Grandfamily Guidebook is the perfect roadmap for grandparents navigating the journey of caring for their grandchildren!" "Life is an unexpected journey! In their excellent guide, Adesman and Adamec offer grandparents a good overview of the joys and challenges of unexpectedly being called to parent their grandchildren. The insights offered are practical and the tone is lovingly supportive." "In "The Grandfamily Guidebook," Dr. Adesman adeptly provides invaluable information and helpful tips to navigate the increasingly common scenario of grandparents raising their children's children…. This book is a must-have guide to better navigate the territory of parenting as grandparents." "Dr. Adesman and Ms. Adamec provide excellent, clear, and practical guidance that will be useful to grandparents facing the challenging child behaviors, difficult discussions, and complicated legal, financial, and life decisions that accompany becoming a parent again." "The Grandfamily Guidebook can support grandparents as they cope with, adjust to and thrive in their new role. In plain language, Adesman and Adamec describe ways of identifying and dealing with grandparents’ feelings and ways of managing the middle generation of birth parents…. This very practical and readable guide offers up-to-date psychological, medical and even a little legal advice as well as resources. 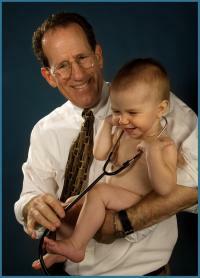 It is positive in its approach and provides both understanding and encouragement to grandparents raising grandchildren."